They found the polymer chains that make up a common carbon fiber are prone to misalign during manufacture, a defect the researchers compared with a faulty zipper that weakens the product. The Rice lab of theoretical physicist Boris Yakobson set out to analyze these overlooked defects and suggest how they might be curtailed. The lab’s work appears this month in Advanced Materials. Carbon fibers were fabricated as long ago as the 19th century, when Thomas Edison made them as filaments for his prototype lightbulbs; but serious industrial development didn’t begin until the late ’50s. They are strong, flexible, conductive, heat-resistant and chemically inert, and have been used in tennis rackets, bicycle frames and aircraft, among many other products. They can also be spun into yarn for light and tough fabrics. “Although well-established and mature, the field of carbon fibers has largely remained inert to using and benefiting from the intensive theoretical development in the ‘young’ field of low-dimensional nanocarbon,” said Evgeni Penev, a research scientist in Yakobson’s lab and co-author of the paper. The Rice team built computer models to deduce the occurrence of defects in the most widely used carbon fiber manufacturing process, which involves heating polyacrylonitrile (PAN). At 1,500 degrees Celsius, the heat burns off all but the strongly bound carbon atoms, ultimately turning them into rudimentary graphene nanoribbons aligned in a way that prevents the ribbons from easily zipping into graphene‘s familiar honeycomb lattice. Yakobson said the idea of this “misfusion” in fiber synthesis came to him while reading a biology paper about D-loops in RNA transcription. It occurred to him that such defects would be unavoidable in PAN-made carbon fiber as well. “It took a lot of work after that to determine their place and mechanical consequences in the fiber context,” he said. Molecular dynamics simulations revealed misfusion buckled the individual polymer chains and formed D-loops. These loops became the primary limiting factor of carbon fiber’s vaunted strength; they reduced it by up to a factor of four and effectively dropped the theoretical estimates of fiber strength closer to what has been observed experimentally, the researchers reported. “To me, the most intriguing part was realizing that D-loop defects enable the possibility of very large Burgers vectors, which are almost impossible in 3-D materials and would have been an absurd idea to even consider,” said Nitant Gupta, a Rice graduate student and the paper’s lead author. Burgers vectors are a measure of the strength-influencing distortions caused by dislocations in a crystal lattice. To their surprise, the researchers discovered that when the PAN chains were misaligned with the fiber axis, the strength of the fiber increased despite the presence of D-loops. 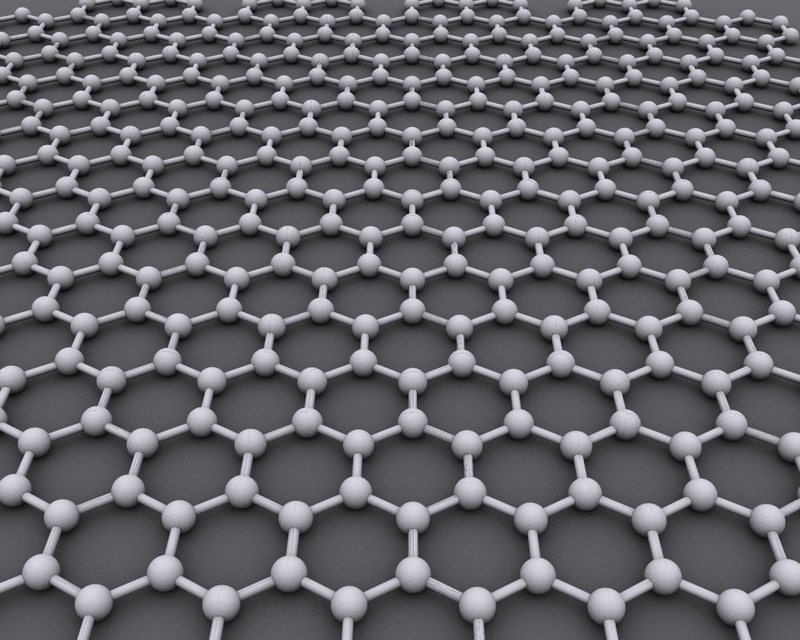 They also determined D-loops might be prevented entirely by starting with graphene nanoribbons rather than PAN. Because D-loops are the most likely places for cracks to start, according to simulations, eliminating as many of them as possible would benefit the fiber’s strength. Rice alumnus Vasilii Artyukhov, a former postdoctoral researcher, is co-author of the paper. Yakobson is the Karl F. Hasselmann Professor of Materials Science and NanoEngineering and a professor of chemistry. The U.S. Air Force Office of Scientific Research supported the research. The researchers used the National Science Foundation-supported DAVinCI supercomputer and Night Owls Time-Sharing Service administered by Rice’s Center for Research Computing and procured in a partnership with Rice’s Ken Kennedy Institute for Information Technology.